Mrs. Lydia Barefield Service Details - Belleville, Illinois | Serenity Memorial Chapel LLC. — Serenity Memorial Chapel LLC. Mrs. Lydia Fernando Barefield leaves to cherish her memory Husband; Demetrius D. Barefield of Collinsville, IL, mother; Cleotilde Juliano Fernando of Caseyville, IL, one daughter; Aisha Swims of Collinsville, IL, one son; Demetrius (Narmina) Barefield of North Brunswick, NJ, two sisters; Lourdes (Dominador) Pangig, Ligaya (Reynaldo) Gunido both of Bataan, Philippines, two grandchildren, a host of other relatives and friends. 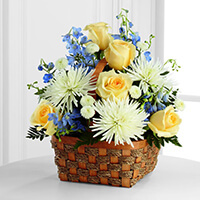 To send flowers to the family of Mrs. Lydia Fernando Barefield, please visit our Heartfelt Sympathies Store. 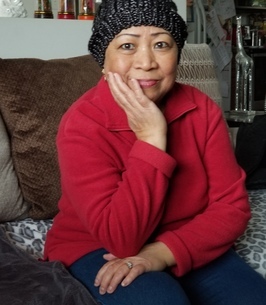 We encourage you to share any memorable photos or stories about Mrs. Lydia. All tributes placed on and purchased through this memorial website will remain on in perpetuity for future generations. To D and Family, We are heartbroken to hear of your mother’s passing and send you our condolensces during this difficult time. Our thoughts and prayers are with you. If there is anything we can do, please let us know. In memory of Lydia Barefield. May you Rest In Peace.